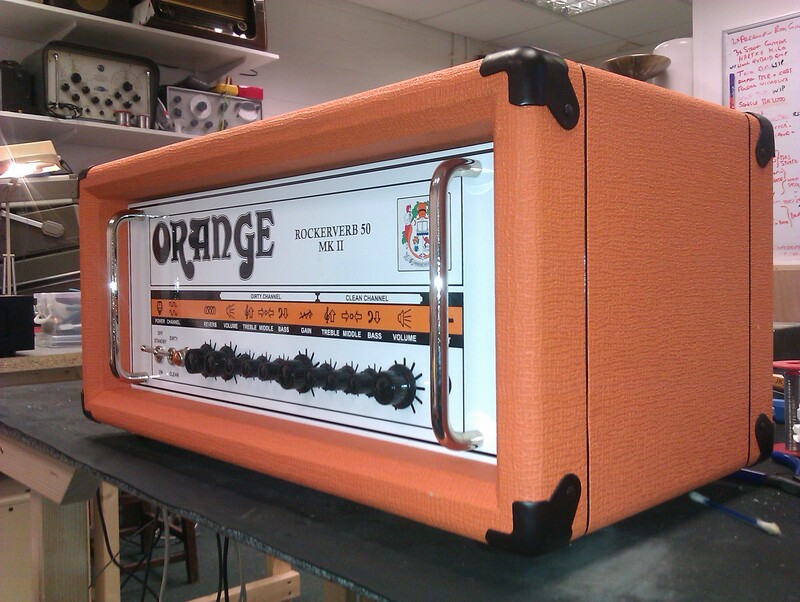 Orange Rockerverb 50. A machine for delivering a nice fat tone with smooth distortion. It’s loud too.